In this post, i will share on how to setup local yum repository from CD-ROM/DVD-ROM image on CentOS 5.8. This quick setup will very useful for those who do not have internet connection and does not have yum repository server on their organization. Using local yum repository, you will able to perform yum installation using the available packages on your CD-ROM/DVD-ROM. 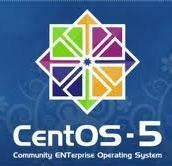 This steps may be also working on other version of CentOS server. 1. Insert DVD/ISO into DVD-Drive.